The car show featured a mix of restored classic cars, street rods, vintage cars and resto rods. The majority of them were street rods from the 1930s to the 1960s. There was a pretty good turnout on Saturday. I'm guessing that there were about 200 cars. Awards are supposed to be a $500 photo shoot for best in each class for each of the days, Saturday and Sunday as I understand it. Also included in the awards, was participation in the reflections ceremony after dark when the winning cars of the car show lined up along the pond amongst the hot air balloons. 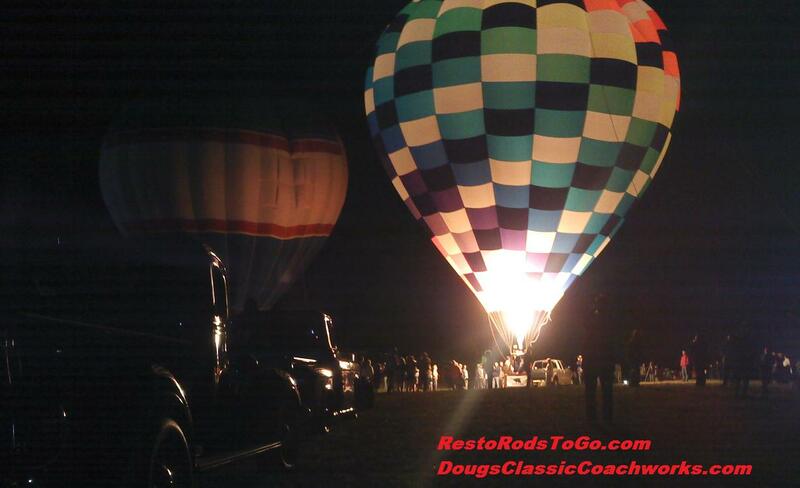 It was the first Sequim WA balloon festival/ hot gas and gears show. The live music was great as was the weather on Sunday evening. Unlike the evening before, the wind was calm enough Sunday evening to allow the balloons to inflate.